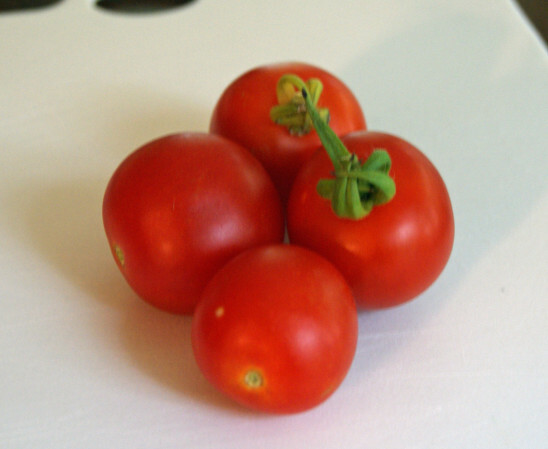 Continuing my appraisal of the different tomatoes I grew this year, this post is devoted to the big (in most cases) guys. The first part can be found here. As I’m sure you’re tired of hearing, this year was not a great one for tomatoes, and the garden in general, so it may be hard to make a fair assessment, especially when it comes to production. But we’ll try. Giant Syrian – this was the biggest I grew. Tasted good, nice size, not too seedy, most of them were not really the nice round tomato shape (though heirlooms are often not). Definitely more pink than red. Not a lot of production, I maybe got a half dozen off of two plants (unfortunately, the same can be said for most of what I grew). 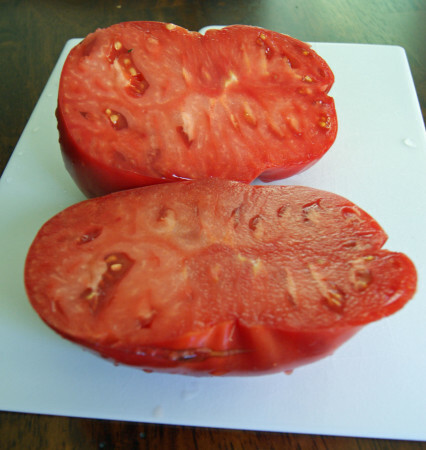 Japanese Black Trifele – decent size (3-4 oz), decent production, good flavor – a little more depth than a regular red. 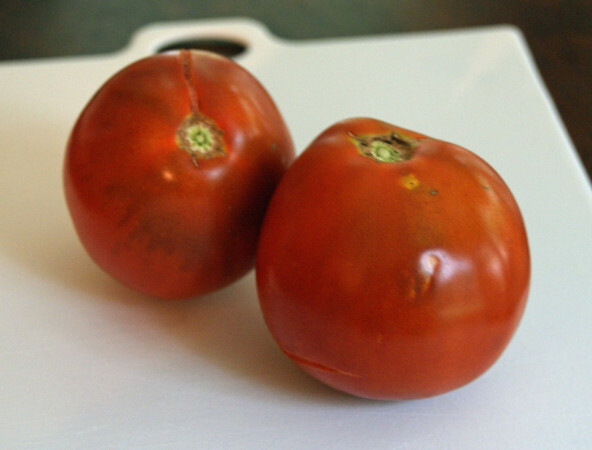 Characteristic dark red/brown/green of black tomatoes. First of the non-minis to ripen. Moonglow – baseball-sized, bright orangey-yellow. This one ripened just after the JBTs, but I also had a couple cases of blossom end rot. Taste was adequate, sweeter and less acidic than most reds. The first one I cut had a very dry cavity with almost no seeds, but subsequent fruits had the normal seeds and jelly. 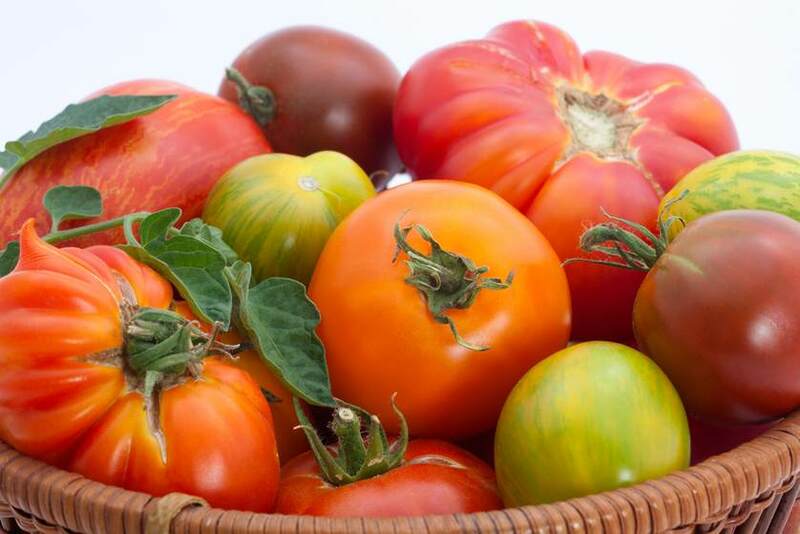 Redfield Beauty – regular old red tomato, baseball-sized, good flavor, pretty uniform. Production was lacking a bit, but no more so than the rest. 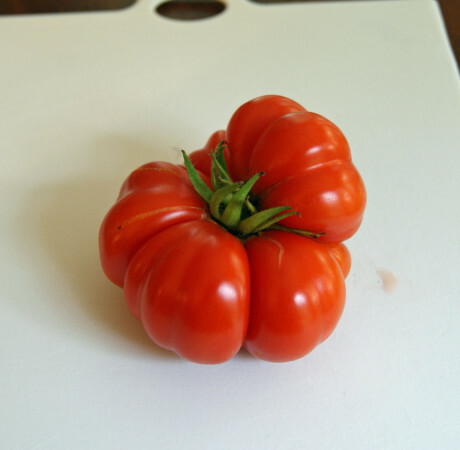 Costoluto Genovese – I love the shaped of this one, flatter with lots of lobes and ridges. Taste and color (bright red) are also good. Probably the lowest production; I think I got three or four total from two plants. However, I’m using this as my barometer, since it’s the only one I’ve grown in the past, and has always produced very well for me. Based on its shoddy output this year, I’m assuming the rest of them would also produce better too, in ideal circumstances. Principe Borghese – the drying tomato. Fresh flavor isn’t spectacular, but the dried ones concentrate it. Since the output was lower, I only dried one batch, as the rest of the time, I didn’t have enough ripe at one time. The rest were just added to sauces. Pingpong ball size. Clusters of 8-10. 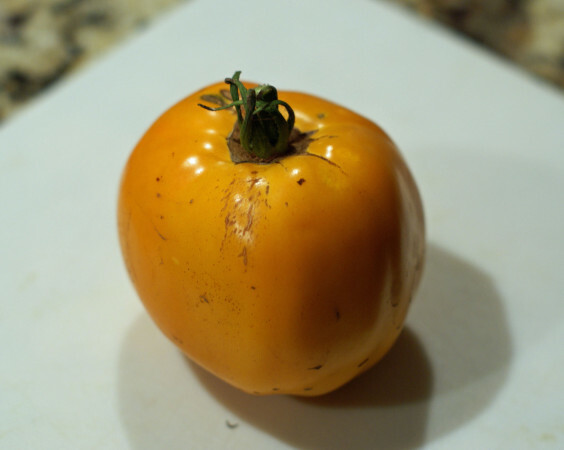 Opalka – first paste tomato. Good size fruits, 5-7″ long, dry cavity with few seeds. Good production too, even in a non-productive year. Didn’t eat much of them fresh, but the sauce turned out well. Most prone to splitting of all the larger varieties. 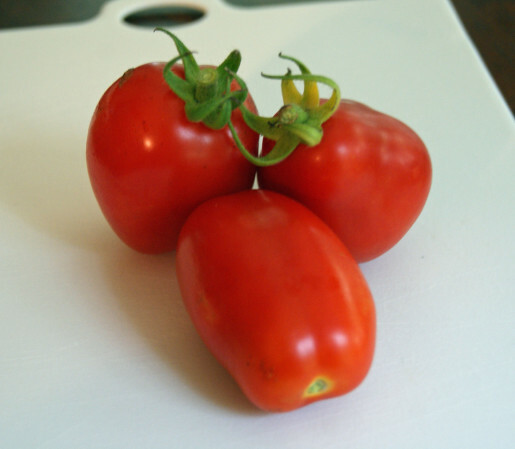 San Marzano – the other paste tomato. Fruits are maybe half the size of the Opalka, 2-3″ long, but very consistent and uniform. Pretty good production off of these plants too. Don’t taste like much fresh. Few seeds. And there’s the final recap. 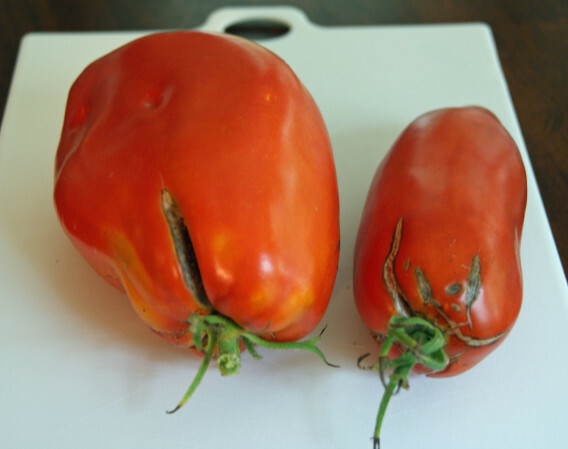 Not the best of years for tomatoes. I’m looking to increase the number of plants next year, and I’ll probably have a bumper crop and be totally overwhelmed. After this year though, I’ll welcome it.